Dry verge, dry ridge/hip, dry valley, flexim roof putty. Dry verge is a system designed to give you a maintenance free way to finish and to protect any verge areas, this system can be installed to a newly tiled roof or any failing old mortared verge. The individual interlocking verge cap gives a professional neat finish to your roof. This product is especially strong and holds well in stormy conditions. Continuous verge is a system designed to give you a maintenance free way to finish and to protect any verge areas, this system can be installed to a newly tiled roof or any failing old mortared verge. The straight line look gives a professional neat finish to your roof. This product is especially strong and holds well in stormy conditions. 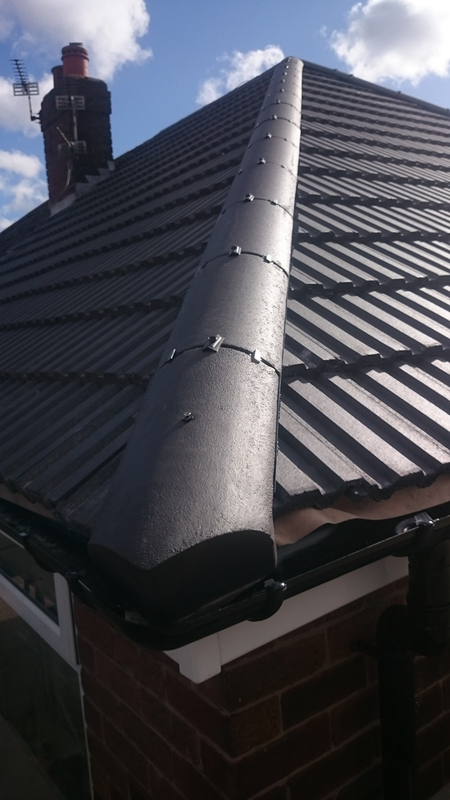 Dry ridge / hip is a system designed to be installed using no mortar and is completely maintenance free, the system is mechanically screwed to a timber fixing baton, a ventilation layer is installed and each ridge as a holding fixing gutter. 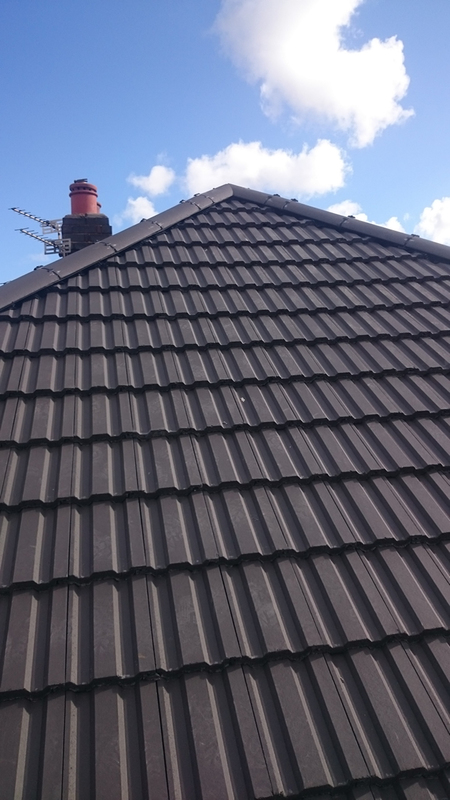 This product is totally waterproof and at the same time providing ventilation for your roof to breath, dry ridge/hip is by far the best way to protect the ridge against stormy conditions. Flexim roof putty is a system designed to be installed using no mortar and is completely maintenance free. Flexim roof putty can be used as a mortar replacement; this product can give a more traditional look to your roof where other dry system would not look in keeping with the property. This product is especially strong and holds well in stormy conditions. Dry valley systems have been developed so the valley can be installed using no mortar and maintenance free, made from GRP fibre glass they are strong and gives a look that is neat and clean.